Pac-Man and his ghosts! 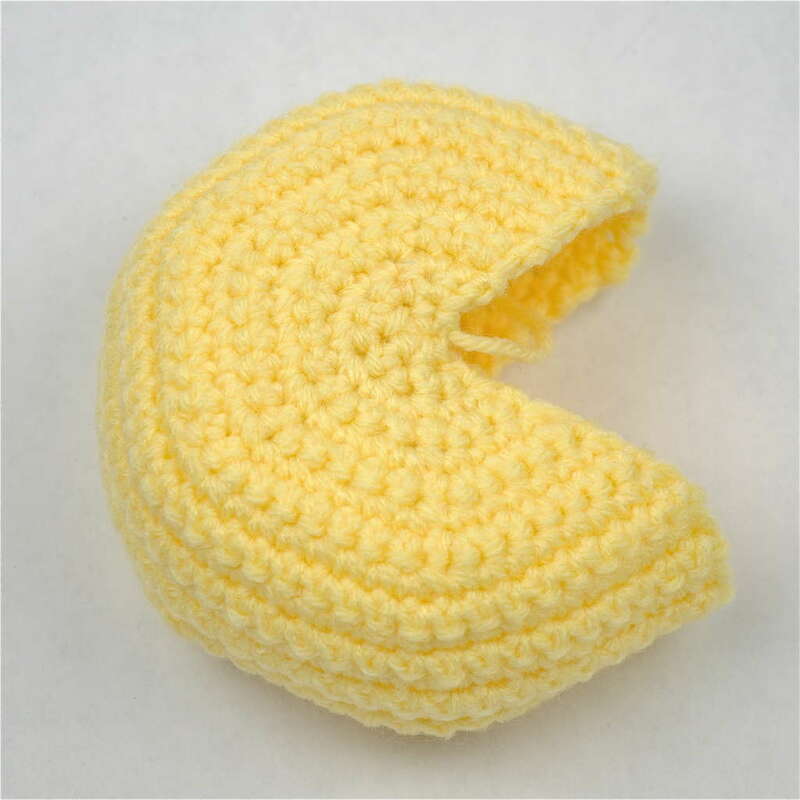 This started as a project to just crochet Pac-Man. Then this expanded to making the ghosts, then to making the ghosts with movable eyes, and lastly to adding in covers to make the ghosts switch to dark blue. I am most pleased with how the ghosts turned out. Hope you enjoy! Pac-Man is really simple. The main body is Yellow and his mouth is Black. You will have to decide how long the mouth piece needs to be based on how big your Pac-Man's body ends up being. To attach the mouth on the body, start at one corner of the black piece and one corner of Pac Man's mouth. 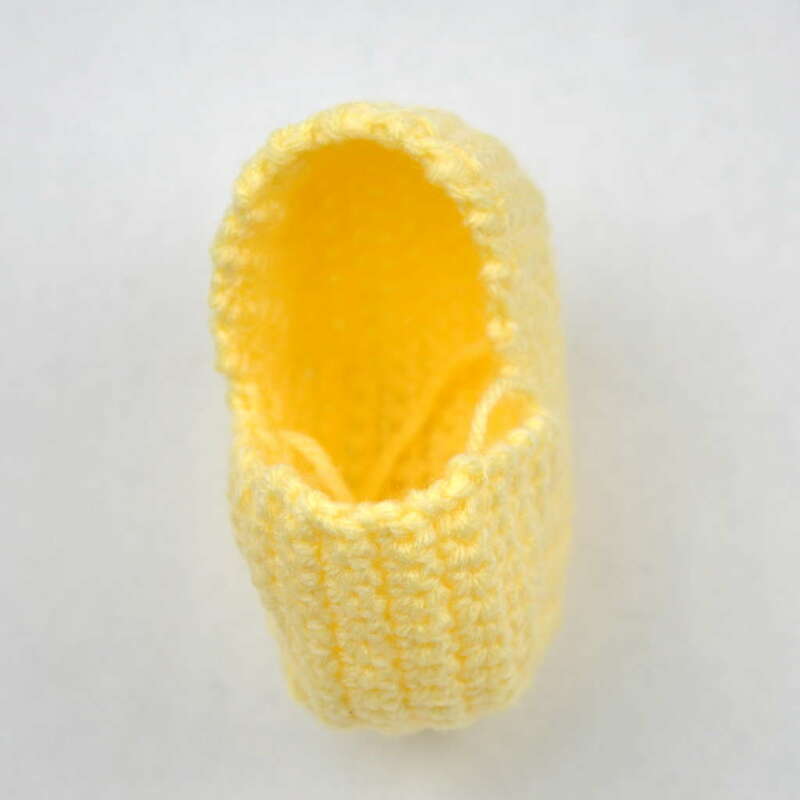 I single crocheted around with yellow yarn. If you marked where you stopped increasing and started decreasing you should be able to match up the corners of the black piece easily to the corners of his mouth. To make it easier and make sure the piece attaches evenly, use paperclips to hold the mouth to his body. It will look like he has many lip piercings. I put in some stuffing when I started to make it easier to grab him and then finished stuffing him before I finished crocheting him up. 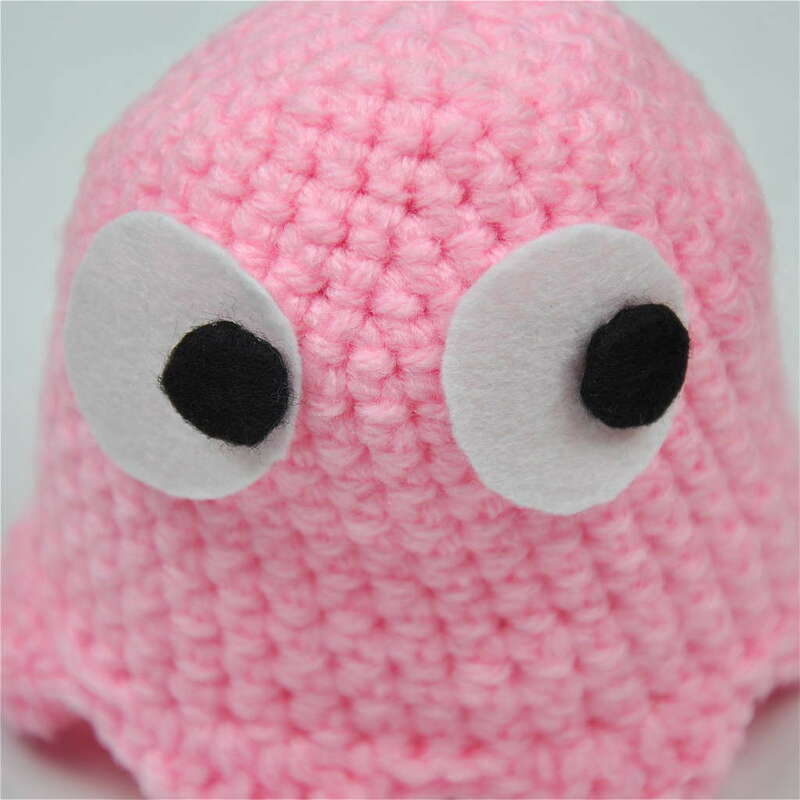 I really like crocheting the ghosts. Especially the little ghost feet! 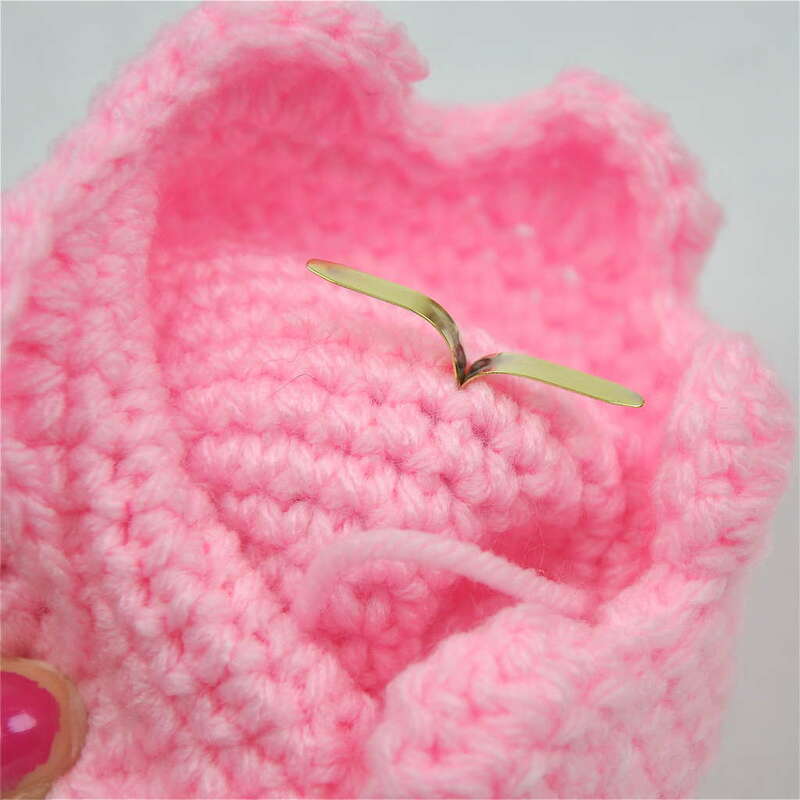 You will need your Pink, Turquoise, Red, and yellowish Tan color yarns. Bend the back of the brads inside the body, but not right next to the body. (Picture 12) You want there to be a little room so you can move the white part of the eye. 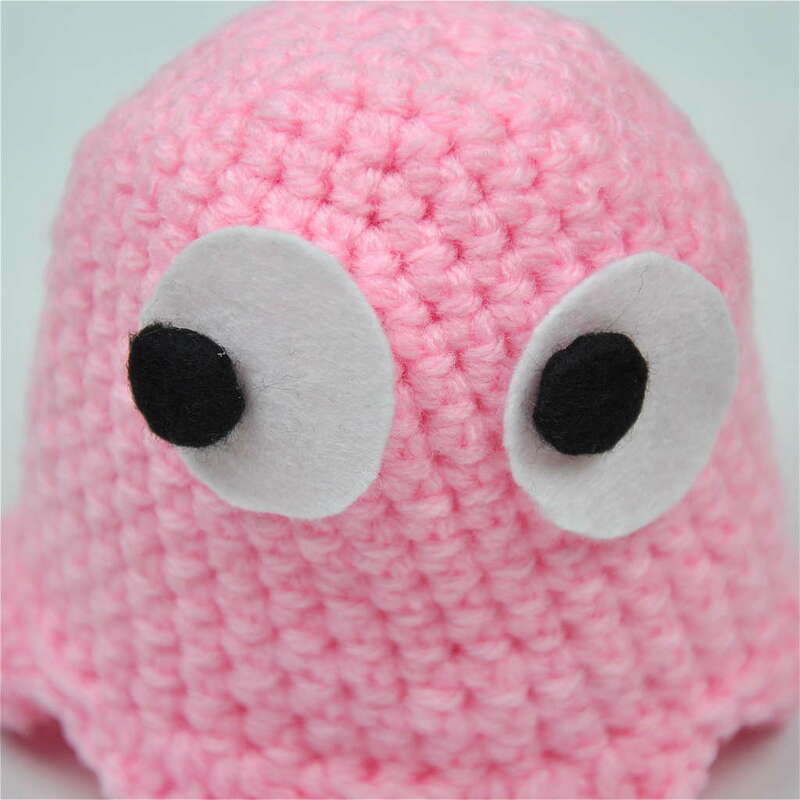 Sew the circle to the bottom of the ghost. Not counting row 19, count up 3 rows and sew the circle to that row only sewing to the inside of the stitches so they cannot be seen from the outside of the ghost. I lined up the points of the circle (since it is more of a hexagon with the dips of the ghost feet (Pictures 18 - 21). It helped to turn the ghost feet out as in Pictures 22 and 23. Don't forget to stuff the ghosts. Pictures 13 - 17 show how you can move around the white part of the eye to make the ghost look in any direction. You need the dark blue yarn for the ghost cover. 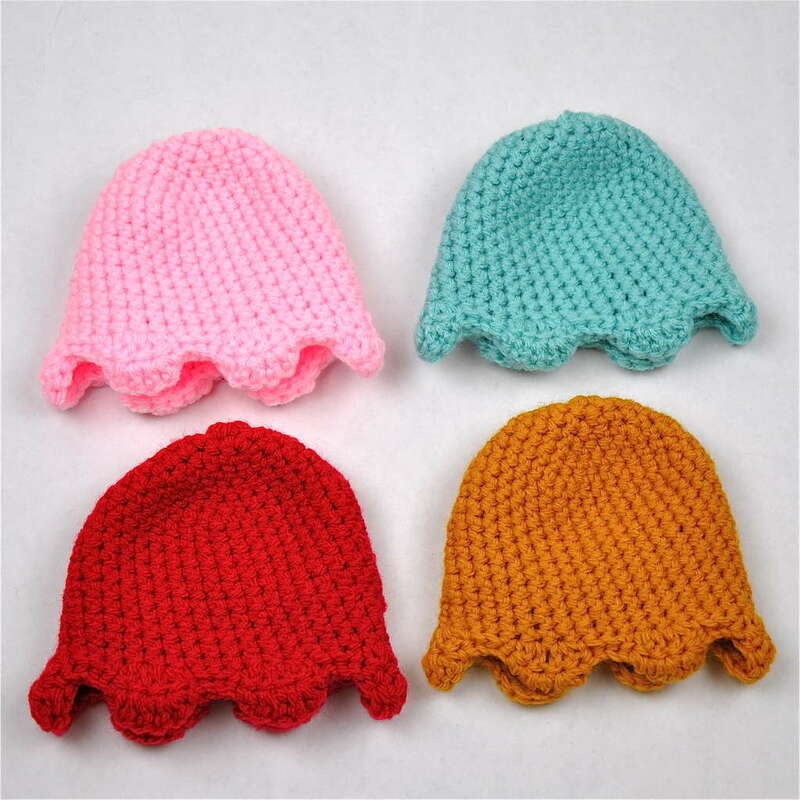 It is pretty much the same as the ghost except you expand to 42 stitches around, you crochet 3 extra rows of 42, and you add an extra double crochet (dc) to the center of each foot in each foot row. Step 6: The Whole Gang! Now you have the whole gang ready! 3 People Made This Project! Hi! Cute patterns. I am having trouble with the feet on the ghosts. 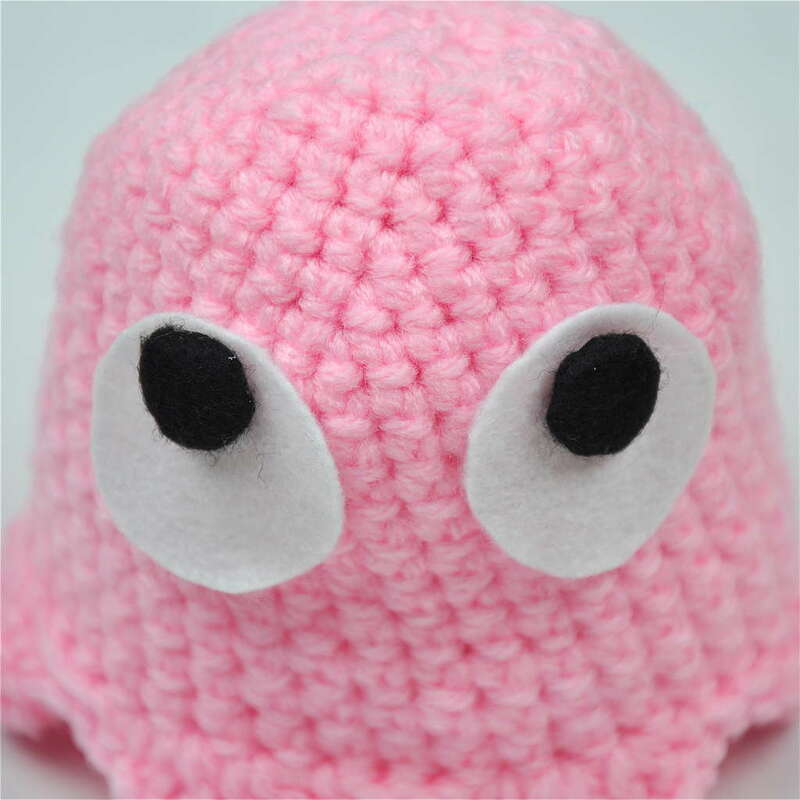 I have tried putting the slip stitches into a single crochet from a previous row, having the slip stitches hanging free between single crochets on the current row, and also putting he next single crochet into the slip stitch I just made. None of those methods is adding up correctly, so I must be reading the pattern incorrectly. Help please! :) Thank you! Let me see if writing it out helps. When you get to row 18, you should have 36 stitches around. Dose seeing it written out instead of all mashed together as abbreviations help at all? Thanks! I realized that for some reason I kept reading dc as decrease instead of double crochet. I think I did this correctly, but the slip stitches in row 18 are not stitched into any of the single crochets from the previous row, but the ones in row 19 are. That's what I ended up doing, and it seemed to work. 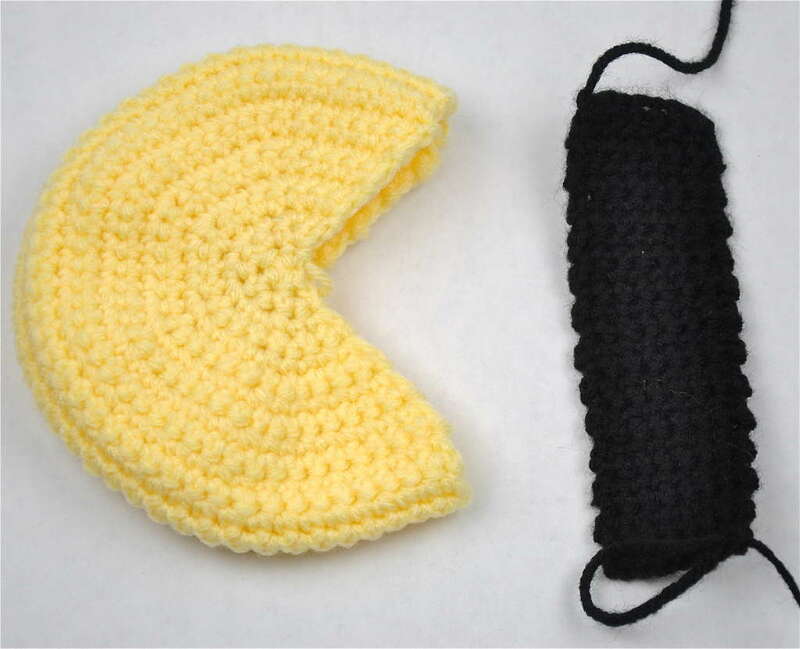 This is amazing i love pac man this is just fantastic ive been looking for game based crochet for a while and this is perfect thanks for sharing! Thank you! I'm glad you like the patterns :) Be sure to share a picture if you make them! Okay, I think I see the issue, I didn't photograph this so it is a little confusing. You start the Pac Man by creating the Magic Ring, but you are NOT going to continue around in a circle. Once you create the magic ring, you chain 1 (NO SLIP STITCH) and TURN your work so you are going back the direction you just stitched, do not continue around. 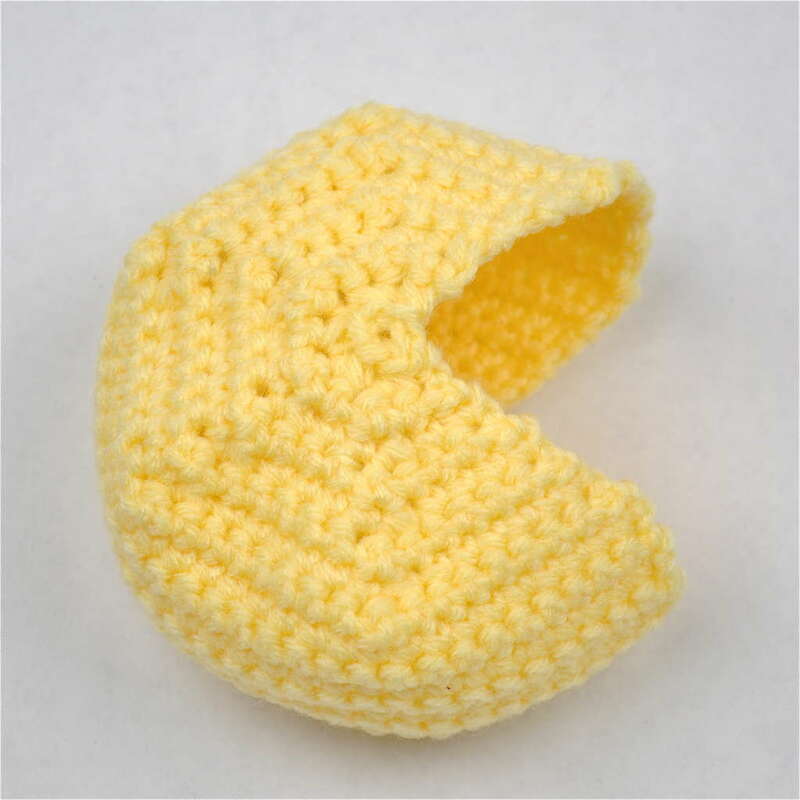 With the pac man, your stitches go back and forth, that's how you get the ALMOST full circle look. I've attached a very badly drawn image to try to help. At the top you see the magic ring you start with. Then (blue) you see you chain 1 out, then turn around and stitch backward around the circle. Then (green) you see you again chain 1 out, then turn around again and go back around the circle. Does that help at all? So the reason yours looks closed in and small is because you are going around and around and around, when you need to go back and forth. 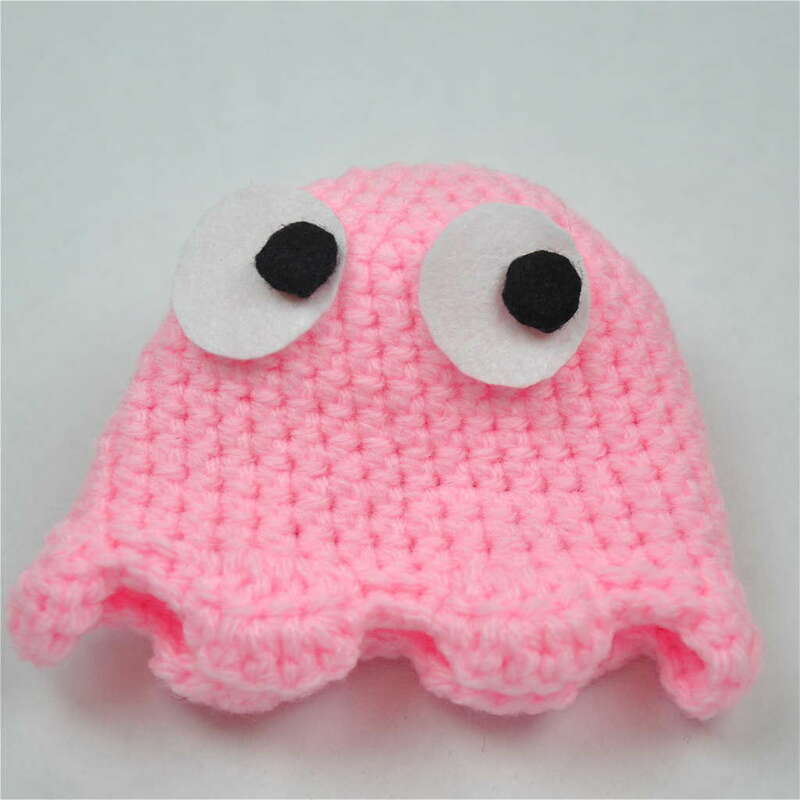 What are you working on (Pac Man or a Ghost)? You look like you don't have enough stitches. How many stitches are you at there? 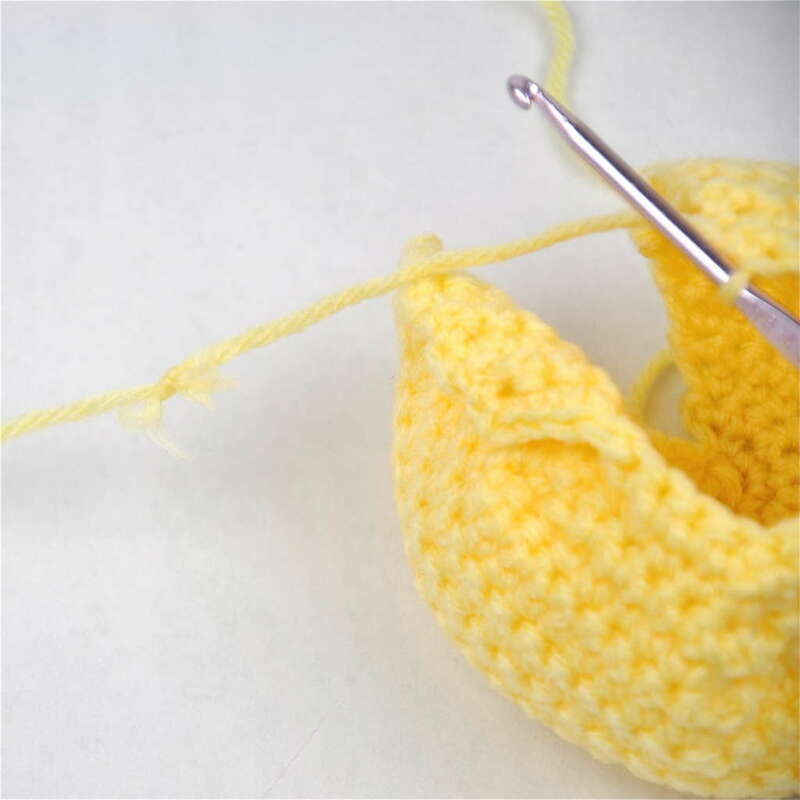 Are you using a size G/6 crochet hook? Can you attach a picture? Maybe seeing it will help me see what's happening. No, I'm sorry, I don't really do videos. Is there anything in particular I can try to help you with?